ST. GEORGE — The 2016 Miss St. George Scholarship Pageant is well underway and the search is on for talented, academically-driven young women ages 14-18 to compete for the crown April 2, 2016. 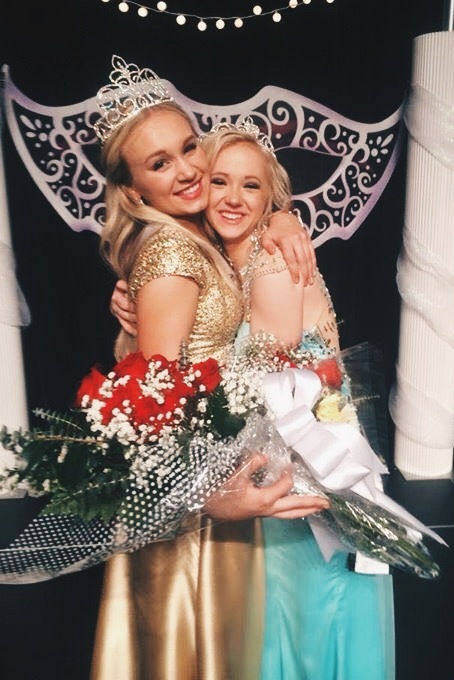 This year’s pageant directors, Joy Carnell of Ivins and Cristina Werner of Texas, have teamed up for their second year to inspire and motivate eligible young women to enter. Both were in business together and bring a wealth of experience drawn from being involved in pageants for many years. Carnell loves to plan and create, loves pageants, and hopes that everyone who enters will have the time of their lives, she said. Along with the prizes and scholarship opportunities, participation in the Miss St. George Scholarship Pageant can bring out the importance of charity, community service and inner beauty, Werner said. 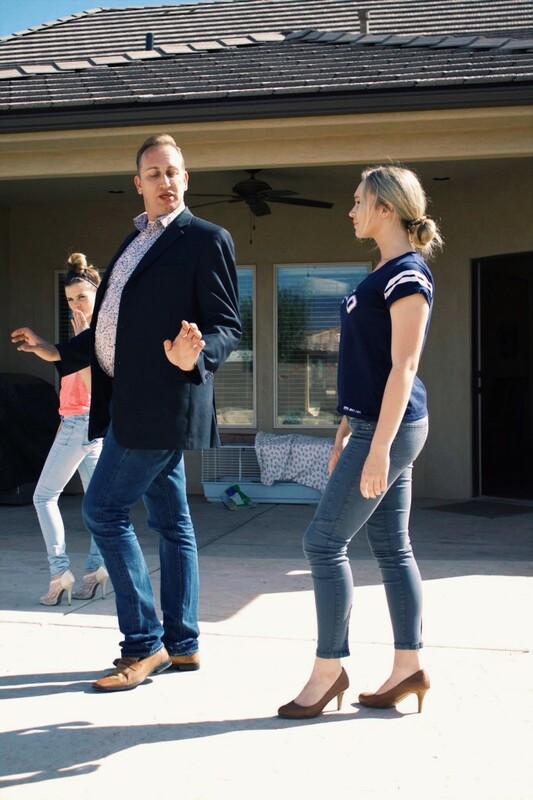 The competition teaches the girls interview, dress and behavioral skills and helps them gain an understating of who they are as a person and that they can make a difference in what they want to be, Carnell and Werner both said. As a scholarship pageant, $2,000 will be donated from the City of St. George and divided among the winners of the pageant, Carnell said, but she and Werner are looking for other sponsors that will help offer more prizes and opportunities for the pageant winners. 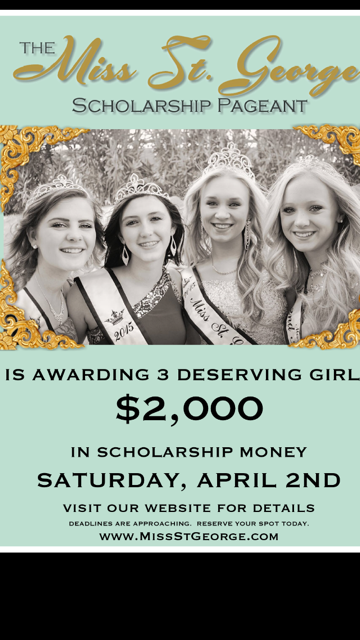 The$2,000 scholarship funding from the City of St. George will award $1,000 to the contestant crowned Miss St. George and $500 to each of the first and second runners-up. 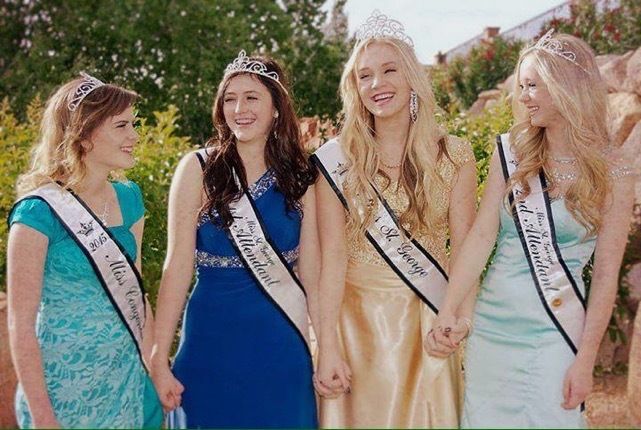 Scholarship money is awarded after the completion of their reign and as they enter college. Evans Hair School is also sponsoring the event and this year is offering a $3,500 scholarship to be put toward tuition. 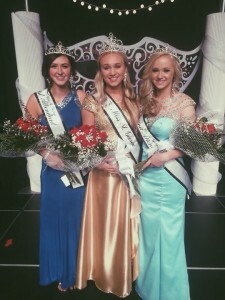 Last year’s Miss St. George royalty includes Emily Theobald as crowned princess, Desert Hills High School; first attendant Dakota Stevens, Pine View High School; second attendant Madison Baldwin, Desert Hills High School; and Miss Congeniality Mandee Rogers, Pine View High School. “It’s such a fun experience and there are so many opportunities to serve throughout the community,” 2015 Miss St. George Emily Theobald said. 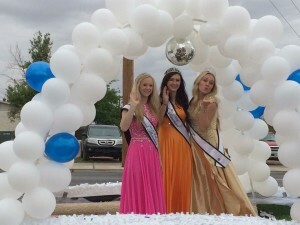 Miss St. George stands as a representative of the city at the county fair, parades and other events to support and help members of the community, generally participating in about one event per month. 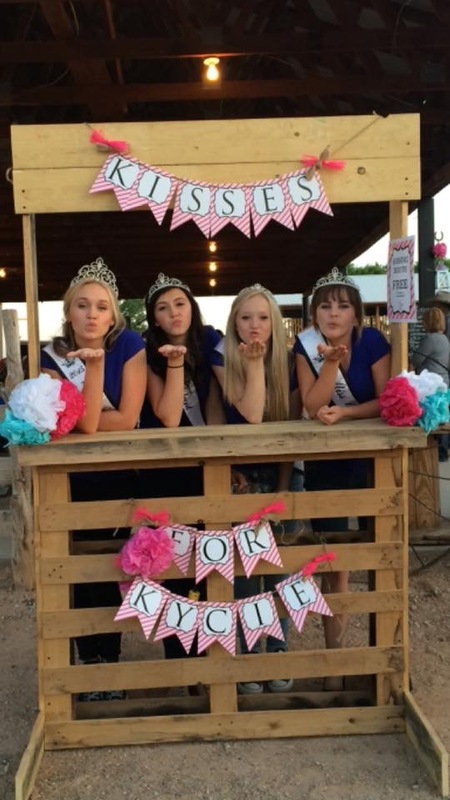 “That is so much fun, we get to help put ribbons on all of the entries,” she said while relating her experience representing the City of St. George at the Washington County Fair last year. Theobald will hand over her crown April 2. Until then, she will continue serving her community and being the best version of herself. Workshops: March 10, 18, 24 and 31. Pageant: April 2, Electric Theater at 6:00 p.m.
More information on the pageant can be found on the Miss St. George website.